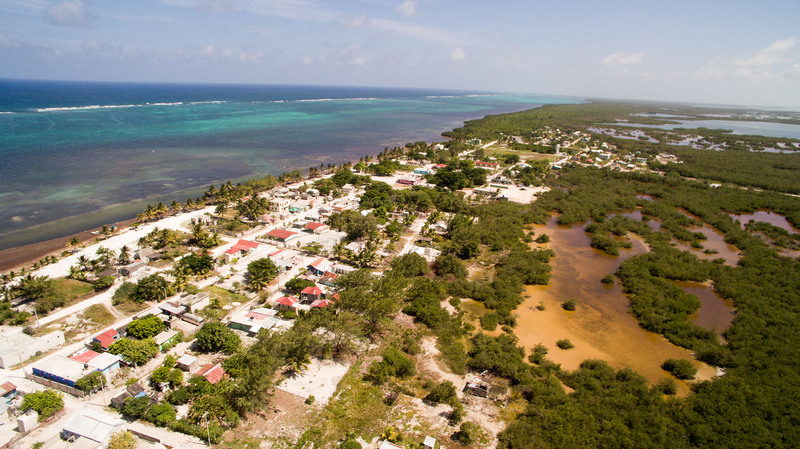 Xcalak is located at the southernmost point in the Costa Maya just 7 miles north of the Belize border. It was home to a pre-Columbian town of the same name. And to this day you can occasionally find potsherds on the beach (Catch and Release only please). The Great Mayan Reef (second largest in the world) runs just off shore and is a protected marine park (Xcalak Reefs National Park). World class salt water fly fishing is minutes away, where you have a legitimate shot at a flats grand slam (bonefish, tarpon, permit) on any given day. Scuba diving along the reef is spectacular with dozens of dive spots within a few minutes boat ride. Xcalak is also the jumping off point to Banco Chinchorro, one of only 4 coral atolls in the Caribbean with pristine coral reefs to dive on or fish. Closer to home, snorkeling just off our beach gets you to beautiful coral heads, marine life, within yards of shore, in bathtub warm water.